And she’s right. Muffins and scones and donuts abound, but ever elusive is the gluten-free croissant. I’ve never seen anyone even attempt it. 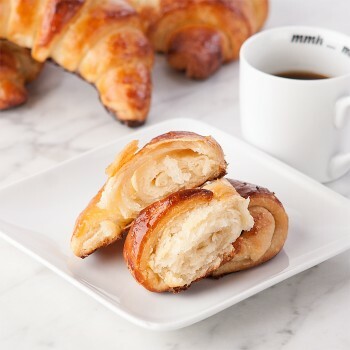 And then I came across this recipe for croissants sans gluten on Gluten Free Canteen. I love to bake but I could fly to Paris in the time it would take me to make these. Lisa Canteen herself admits: “These are a labor of love. They take patience, practice and persistence.” Clearly, she’s done the research and even provides Cliff Notes! I will pay you to make these croissants for us (or the pain au chocolat, we’re not picky!). As long as it’s cheaper than flying to Paris.